The information below explains how to understand your current water bill and explains the process for inquiring about water, sewer and stormwater accounts, with the intent of resolving customer issues as quickly and fairly as possible. Over the course of your service period, your water usage may be higher than usual or expected, which may lead to a higher bill. We understand the burden this places on a household budget and our customers are sensitive to changes in their monthly bill. Your service period. This is the period of time from your last meter read to your current meter read. If your bill is for a different period of time than the standard 30 days, this may lead to a higher or lower bill. Your usage. Your water bill is calculated in CCF Units. This represents 100 Cubic Feet of water, or 748 gallons. The average amount of water used by an individual per month is approximately 3 CCF. This amount may vary for your particular household. Common causes for increased consumption can include people coming to visit and warmer weather activities (washing cars, watering the lawn, watering plants, etc.) . Your Infrastructure Fee and meter size. Your monthly infrastructure fee is based on meter size. The home builder, not DPW, determines the size of the meter. DPW offers assistance programs to qualified individuals to help them manage their bills, including ways to seek a meter size reduction. The type of read. Occasionally, there may be situations that prevent the sending of an actual read, such as a street relining project that requires meters to be pulled, or an obstruction at the meter or communicating device. When this occurs, an estimated read may be billed to an account. However, once we are able to collect the actual read, the amount you have been billed will be corrected if necessary, and we will apply any credits due to the account. Possible leaks. A leak on the customer’s side of the water meter can result in high bills. There are many sources within your home which can lead to increased consumption. It is critical that routine maintenance and review of your most water-consuming appliances is done. This can be as simple as ensuring your toilet is running as efficiently as possible, to ensuring that you fix a leaky faucet or a steady drip coming from your washing machine line. Identifying and correcting sources of high water usage is an excellent way to reduce your water bill. Underground leaks between the meter and your home can go undetected and be difficult to identify but can drastically increase consumption. The Customer Service and Support Division can assist with identifying these leaks by performing a turn off test, as explained in the section below. If you have reviewed your bill and still have questions on the amount due or the usage being charged, please do not hesitate to contact us at 410-396-5398 or by email. You can also visit our walk-in center at the Abel Wolman Municipal Building at 200 Holliday St., Room 7. DPW will review your account, including your typical water usage, your meter information, your previous bills, and any notes from earlier calls to our agents. Since DPW meters are read remotely, we will communicate with your meter to ensure that we are receiving a signal and response back. We will analyze your typical hourly and daily meter reads across different time periods to help determine what your next billing cycle may look like and whether there is an indication that you have an outstanding issue at your property. When there is suspicion of an exterior, underground leak, a turn-off test may be requested. In this test, the customer is asked to shut-off the main valve to their house and our staff will observe whether the meter is still registering usage. If it is, it may be evidence of an underground leak at your property. Occasionally we may need to send a field investigator. Our experienced technicians will look at your meter, meter vault, and the surrounding area to analyze what may be the source of the high usage. NOTE: DPW's field investigators only review your meter and the area of City responsibility, as there is a difference between Homeowner's versus City's responsibility. A leak can be present on the resident side which can impact your bill. While having a high bill is never a pleasant experience, we hope to give our residents the reassurance that each inquiry is taken seriously. A Customer Care agent will review your billing and water usage information. Please note that high bills may be due to excessive water usage and/or a leak. If your usage indicates a possible leak, Customer Care may perform a turn-off test. A turn-off test requires the customer to voluntarily suspend water usage for a short period of time while Customer Care monitors consumption to determine whether water is still flowing through the meter, thus indicating a leak. 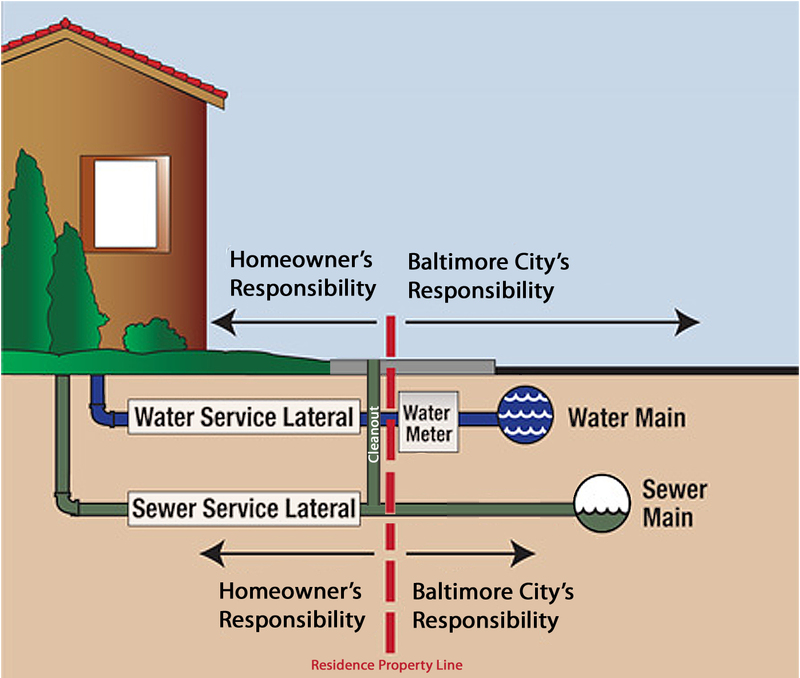 If the turn-off test indicates a leak, a Customer Care agent will visit the property to determine whether there is a leak on City property that is affecting consumption. If so, you may qualify for a reduction in charges. All other leaks, interior or exterior on private property, are the responsibility of the customer. If you believe there is an issue with your water meter, you may request a bench test for a fee. In order to perform the test, Customer Care will need to remove your water meter. The bench test is performed by running a known volume of water through your water meter. You may be present to witness this test at our meter shop facility. You may qualify for a reduction in charges and will receive a refund of the bench test fee if your meter is over-registering consumption. If you wish to request a billing adjustment for a leak you must contact Customer Care within 60 days of receiving your bill. e. Evidence to support your contention that your bill should be adjusted. The Director will issue a final, written decision or contact you to schedule a hearing. The Director’s decision is final. Meters: Homeowners are only billed for the water that passes through their meter. Other activities that may have taken place in the area surrounding such as maintenance of our water lines, or construction or repair of water or sewer mains do not cause your water usage to increase. Leaks and standing water issues such as a running toilet are far more common and should be the focus. Leaks: Not all increased usage is a broken pipe. A dripping faucet can cause a situational elevated use of water and yet, would not usally be identified by a plumber. You can find out how much water a dripping faucet wastes by using the U.S. Geological Survey's Water Drip Calculator.